The Livehigh Team recently visited the Sales Centre for Portrait Condos. The project will be located in North York, on Sheppard Ave W, just west of Bathurst. 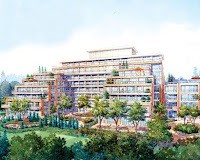 For more details, please click here to access the Portrait Condos page. Reminder: Don’t Miss The HRTC Deadline!